The curse is that we don’t get to draw a breath between thirty and forty. The curse is that it goes helter-skelter, up and down, and that just this stage is pretty much the last thing that one can absorb. Thereafter, one just gives and lives from the capital. Fifty-year-old students are the exception. It’s a shame. To be able to pause, suspend, sum up, revise, learn afresh. It is not just the school knowledge that we have forgotten, which is no great loss, but if we only retain the way of thinking, we are in danger of slowly falling behind, although it is not just because of the radio and cars that I want to be a student. I want to be a student to slowly get an idea for myself of what this human life is really all about, on a scientific basis. „I’ll never get round to that“, the people in the big cities like to say about that integrated view of the world which was denied to us in our youth, and they’re right: and remain forever outsiders, just spectators. How nice it must be to study with all one’s strength and with the whole weight of experience! To concentrate completely on an intellectual question! To really press on ahead, not start again at the beginning. To take one path, not twenty. To do one thing, not thirty-three. None of us seems to have the time, but we should all find some. Only a few have enough money, and we only run so fast because they prod us, and some also because they are afraid that they could collapse if they stood still. A student at thirty… that would still be effort and work and energy and success, just not so easily grasped, not laid on a plate, now, straight away, quickly. What results one could achieve by studying when one no longer had to! When one wanted to! When the lessons came in through double doors thrown wide open, instead of through a reluctantly forced little door, as is so common in youth. One does not need to know everything. „Measure out your lifetime“, said Seneca, „it is not enough for all that much.“ And he speaks about things which one should forget, should one have ever known them. But that’s not what I’m talking about. I’m talking about thirst for knowledge, which is denied to us because we have to teach all the time. To give when we only want to take. The customers are crowding around the counter and the conscientious shopkeeper glances anxiously at the goods entrance for the delivery man. Where has he got to? I want to be a student. But then, when I realize how many ‚Circles‘ and genuine German fraternities I would have to choose from, then I’d rather not. Ad exercitium vitae parati estisne? Sumus. 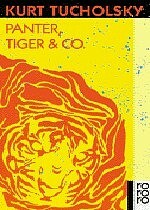 Tucholsky Panter, Tiger & Co. 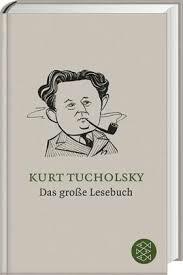 This entry was posted in 1929, Kurt Tucholsky, Peter Panter, Vossische Zeitung. Bookmark the permalink.